A federal judge said today it's unclear if the Oakland City Council had sufficient evidence when it determined coal would endanger the public. Did Oakland's city council have sufficient evidence regarding harmful impacts to health and safety when it decided in 2016 to ban the storage and handling of coal in city limits? That's the question U.S. District Court Court Judge Vince Chhabria wants answered when a lawsuit seeking to overturn the city's ban on storing and handing coal goes to trial next week. The case's outcome will ultimately determine whether Oakland becomes one of the largest coal depots on the West Coast. Developer Phil Tagami is seeking permission to ship millions of tons of coal from Utah via rail. It would be stored in massive dump pits and warehouses at the foot of the Bay Bridge and conveyed onto ships bound for Asia to be burned in power plants. The city's 2016 ordinance banning coal handling and storage was designed to put an end to Tagami's plans. But Tagami then sued to overturn the city's ban. Chhabria decided at today's final pretrial hearing in the case that he simply doesn't have enough information to decide if the city's decision to ban coal was based on accurate evidence that showed a substantial threat to health and safety. "How do we know it's a substantial danger?" Chhabria asked the city's attorneys. The judge requested some kind of baseline or comparison, such as how much particulate matter is emitted from the city's freeways, or other industrial activities such as the ABI Foundry in East Oakland, which currently receives and burns coal to produce metals. Kevin Siegel, a private attorney helping represent Oakland, told Chhabria that it's unnecessary to have a baseline to compare the coal dust emissions to. Any increase in particulate matter measuring around 2.5 micrometers — tiny airborne particles that can embed deep in people's lungs and even bloodstream — is dangerous, said Colin O'Brien, an en environmental attorney whose organization, Earthjustice, is an intervenor in the lawsuit. Oakland residents, especially those in West Oakland near the proposed coal terminal site, are already exposed to large amounts of this PM 2.5 dust, and any addition to that would constitute a danger, he said. One clause contained in Oakland's contract with Tagami's company allows the city to take actions affecting his development rights, if, after a public hearing, the city determines there is sufficient evidence that the health and safety of residents and workers could be harmed. But Chhabria, called the city's official report on the health and safety impacts of coal dust "pretty vague" and said he needs some kinds of comparison to understand how much more deadly particulate matter would be spewed into the air by allowing coal shipments. That official report was prepared by Environmental Science Associates (ESA). But at today's hearing, one of Tagami's attorneys, Robert Feldman, criticized what he said were errors in the report. He called ESA's work "completely screwed up" and "speculative nonsense." Feldman said ESA massively overestimated coal dust emissions from trains and warehouses by using a mathematical model based on a pile of fine coal dust on a concrete pad instead of an actual pile of coal rocks. "If you go, phew!, to fine dust," said Feldman, blowing into the palm of his hand as if he were spewing dust into the courtroom, "it's going to go everywhere." Feldman said the measurement led to a conclusion that was about 17-times greater than what a better method would have found. Judge Chhabria also criticized the ESA report, saying that numbers regarding particulate emissions in several tables appeared to be inaccurate and didn't add up. Feldman said some of the measurements and methods came straight from the Sierra Club, which he accused of having an explicit goal of stopping all coal mining and exports. "If these numbers aren't true," said Chhabria about information in the ESA report, "they can't be substantial evidence," meaning they couldn't support the city's contention that it abided by its contract with Tagami's company and only banned coal after showing it presented a health threat. But Siegel defended ESA's report, even while he acknowledged it contained at least one typo. He said it was prepared by qualified professionals who used accepted methods. His colleague, Gregory Aker, told the court that Feldman is incorrect about the proper methods used to estimate coal dust emissions from trains and silos. He said the fine dust on a concrete pad was used as a basis for modeling because it more accurately reflects what happens to coal when it's transported on trains. 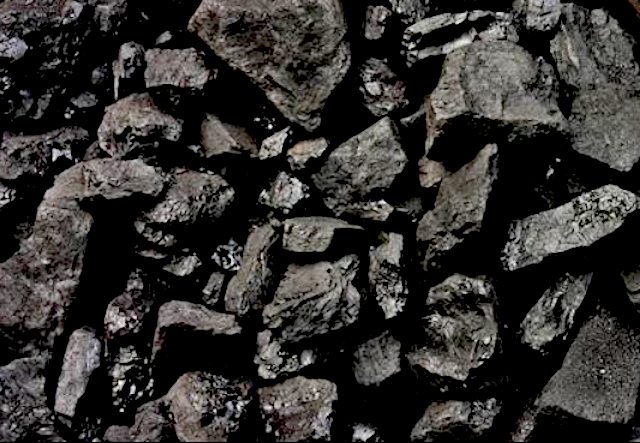 From Utah to Oakland, coal would be exposed to heat and cold, heavy winds, and dust would escape and pile up on train car surfaces. Aker told Chhabria that one of the ESA consultants who did the modeling to estimate dust emissions explained the methods in her deposition and can justify them at trial. "These were not errors," said Aker. "They were very sound numbers." But a year and half ago, when the city first retained ESA to conduct its study, anti-coal activists also pushed for a separate report on the health impacts of shipping coal through Oakland. A volunteer group of public health researchers calling themselves the Public Health Advisory Panel on Coal in Oakland produced a second document that found coal shipments through Oakland "will increase exposures to air pollutants with known adverse health effects including deaths." Chhabria said this study appeared to be more accurate and reliable than the ESA report. Oakland Councilmember Dan Kalb had yet another independent report produced by Zoe Chaffe, an environmental scientists and public health expert, that found that any additional particulate matter emitted by the coal trains and terminal "should be expected to negatively affect the health of workers at the proposed terminal, residents of adjacent communities, and visitors, commuters, and people recreating near the terminal and former Army Base site." The various reports will likely be the subject of intense scrutiny at next week's trial when Chhabria decides whether they provided evidence of a substantial health and safety threat sufficient to justify the city's coal ban. As for arguments that the city's coal ban is preempted by interstate commerce laws, Chhabria didn't seem inclined to agree with Tagami. Tagami's lawyers argued today that cities can't enact laws that stop the shipment of goods bound for interstate commerce, and that's exactly what Oakland did. "I'm not feeling it," Chhabria said about the discrimination argument. "I agree it stops shipping coal out of Oakland and therefore through the terminal via rail," he explained, "but it would also stop coal mined in the Sierra Nevada, right?" According to Chhabria, because the coal ban would also apply to in-state companies, it doesn't discriminate against Bowie, an out-of-state corporation. And on the matter of whether Oakland is preventing interstate commerce, Chhabria acknowledged the coal ban has an impact on shipments, but he indicated that the city also has a right to exercise its police powers to regulate activities within its geographic jurisdiction, especially if the purpose is to safeguard public health. "I don't think the Commerce Clause is so powerful," Chhabria remarked about the section of Constitution that gives the Congress the power to regulate foreign trade and trade across state lines. He compared Oakland's coal ban to a recently upheld statewide ban on the possession and sale of shark fins. "What it means is: You can't bring them across the border," the judge said. Although the shark fin ban affects international and interstate commerce, Chhabria said it was within California's right to ban them for conservation and public health purposes. However, even though he expressed skepticism, Chhabria declined to rule today on whether the coal ban violated the Commerce Clause, saying instead that he would take it under consideration but that he hoped to resolve the case purely on the question of whether Oakland violated its contract with Tagami's company by banning coal. Chhabria also declined to rule on other arguments made by Tagami's attorneys about the coal ban. They had claimed that federal laws regarding the regulation of railroads, hazardous materials transportation, and shipping preempted and therefore nullfied Oakland's coal ban. For next week's trial, Chhabria has ordered each side to present no more than six hours of witness testimony about the contract between Oakland and Tagami's company and whether there was sufficient evidence that the environmental impacts are serious enough to warrant the coal ban. Tagami's attorney, Feldman, said the case was moving at "warp speed." And one key witness, Claudia Cappio, who was the assistant city administrator who oversaw the coal ban ordinance, might have her vacation cut short because her testimony is required. After retiring from the city several weeks ago, she took a trip to Cuba. Chhabria said Cappio should be prepared to testify as early as next Tuesday. Correction: the original version of this story stated that Judge Chhabria dismissed federal rail, shipping, and hazardous materials preemption claims. He did not, and they are still under consideration pending the outcome of the trial.